(Academy Award Nominee for Best Original Song/"That'll Do") When Arthur (James Cromwell) is injured, Esme (Magda Szubanski) struggles to run the farm on her own; faced with eviction, she and Babe the pig set out for a sheep-herding contest whose prize money may save them from ruin, in this 1998 sequel to the Oscar-winning crowd-pleaser Babe. 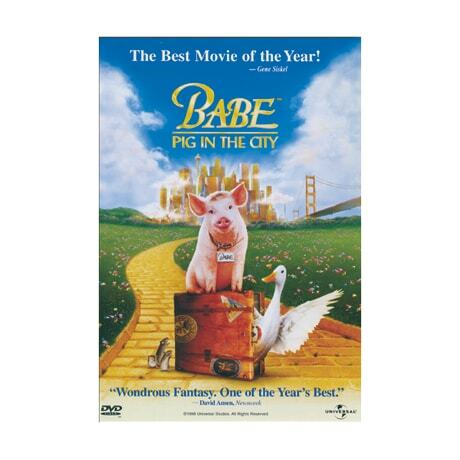 Waylaid after missing a flight, Esme winds up in jail and Babe is kidnapped by a clown (Mickey Rooney) who wants to use him in his act; to put things right, Babe will need the assistance of a dog and some very clever monkeys. Elizabeth Daily provides the voice of Babe and sings Randy Newman's "That'll Do"; other voices here include those of Steven Wright, Miriam Margolyes, James Cosmo, and the late Glenne Headly.